Cradok wrote: It was to give pilots combat and maneuverability options. Not just for landing? That would make the most sense. Is the B-wing cockpit actually supposed to be gyroscopic? (That would be very odd for a space fighter.) Or was is simply supposed to rotate from a horizontal position (for ease of boarding when landed) to a vertical position when flying (because maybe it is easier to steer your craft, and aim weapons, when you are aligned with with the ship's vertical centerline)? Do we ever see the cockpit moving during spaceflight? I honestly don't know. Mister Ed wrote: Is the B-wing cockpit actually supposed to be gyroscopic? (That would be very odd for a space fighter.) Or was is simply supposed to rotate from a horizontal position (for ease of boarding when landed) to a vertical position when flying (because maybe it is easier to steer your craft, and aim weapons, when you are aligned with with the ship's vertical centerline)? Do we ever see the cockpit moving during spaceflight? I honestly don't know. Yup, full 360 rotation during flight. It's not in any games probably because it'd be too complicated to introduce another axis for a single unmodified flightstick or controller, or because it'd be too difficult to implement just for one lesser-known ship. We don't ever see it in universe because it turned out that the gyro systems were very prone to failure and most pilots just locked the system in one position during flight. Wait, if we never see it (in games OR movies), how do we know that's how it works? Mister Ed wrote: Wait, if we never see it (in games OR movies), how do we know that's how it works? Lucas told us so, or something... I've only ever seen pictures of the studio model with the cockpit positioned as in the photo I posted earlier. The deployment shots from Jedi have them oriented vertically, while the fleet flybys have them horizontal. As for how we know, various technical manuals and RPG sourcebooks. More seriously, I believe that it was on the concept and design sketches. Cradok wrote: The deployment shots from Jedi have them oriented vertically, while the fleet flybys have them horizontal. That's what I thought. Thanks for confirming that. the b-wing cockpit rotates in rebel assault 3. Has anyone heard any new about these sets. With all of the summer sets being shown at toy fairs, I wonder why there is no word on UCS sets. Especially with R2-D2 speculated to be released in march. Zmagilicutie wrote: Has anyone heard any new about these sets. Not a peep, which somewhat surprised me. I expected one of these sets to make a "surprise" appearance at the NY Toy Fair (either the B-wing, R2, or Palpatine's Arrest). That may indicate that none of these sets will be available through traditional retail channels, but that doesn't quite jive with past toy fairs. I guess there's always San Diego. They could be shown at legoworld Kopenhagen 2012? Last year the Super Star Destroyer made its "debut" at Brickworld Chicago over the summer. I expect the same for at least one of these. They need to hold things back for other events over the year. I'd expect to see these officially announced later in the year. harrison wrote: They could be shown at legoworld Kopenhagen 2012? 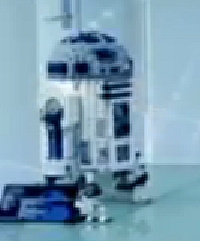 If R2 is indeed coming out next month, I would think so. Then again, I thought it'd be at Toy Fair. I can see the B-wing being revealed at Brickworld, similarly to the SSD, then Palp's Arrest at Comic Con. It staggers the reveals and keeps interest up until the next wave of sets is released. I've been waiting in excited anticipation to see the R2-D2 UCS set, too! 2000+ pieces?! Crazy cool. I'm really curious to compare it with my Artoo-Detoo LEGO Cuusoo project. I admit I was a bit crestfallen when I learned that LEGO had plans for their own large scale Astromech, but I think there's room for another Astromech model in the LEGO collection - they appear in the movies and TV shows in all sorts of color combinations. Mine's only built with around 900 pieces, and that includes the base. Is this the UCS R2? Pause at 0:02 of this video and see what I mean. I think that might be it, although I'm not certain. Oh Snap! Good catch Walter! Dome seems a bit on the shallow side, but other than that it's too hard to make out any finer details so I'll hold off before getting too excited. ^^ If that's the real deal, it should look great displayed beside the 7194 Yoda.